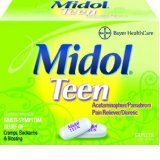 Midol Teen Max Strength Caplets 24 Ct. Item Number. :B10058448.